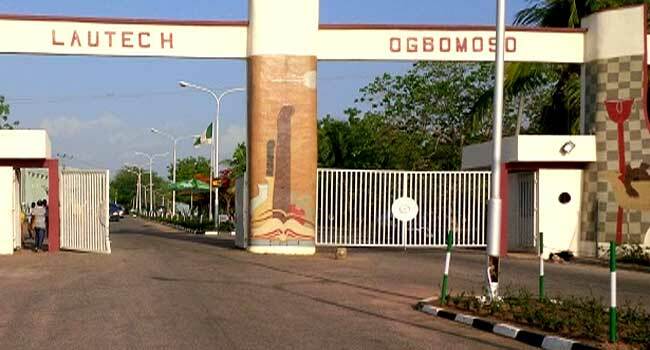 The management of the Ladoke Akintola University of Technology (LAUTECH), Ogbomoso, in Oyo state, has suspended the activities of the students union of the school indefinitely over alleged unruly behavior of the union officers. The Registrar of the institution, Kayode Ogunleye, made this known in a statement on Friday. The University Management, having noticed the recent unpalatable and ugly situation on campus, which has led to a situation whereby student union leaders were attacking one another thus lost control of the leadership of the union, decried that the student union of LAUTECH, be proscribed with immediate effect,” Ogunleye said. The institution’s management said a caretaker committee has been formed in place of the proscribed union. “By this release, the leadership of the students union should hand over property of the union and the university in their custody to the Ag Dean of Student Affairs with immediate effect. “We appeal to students of the university to continue to maintain peace and tranquility on campus and report any case of security threat,” the official said.